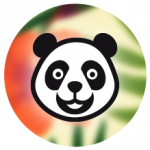 So I’d been hearing about foodpanda – and as a mobile app enthusiast of sorts, I do take interest – but although many of my friends and acquaintances had heard of it, none of them had actually tried the service. 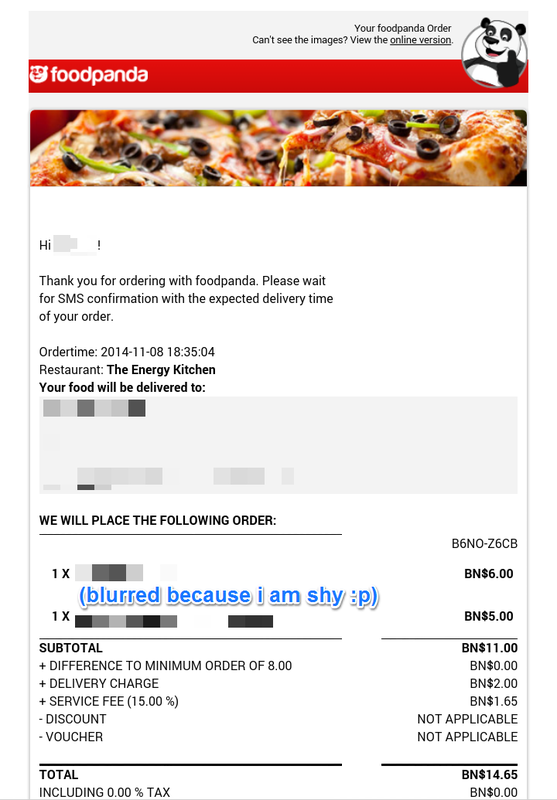 I’m not much of a food enthusiast (boo, bad Bruneian), but was interested in the process of ordering from foodpanda. As easy as it is to use the service, some parts are still not straightforward. I’m sharing my experiences here for anyone who hasn’t tried it out. I’m ordering from the Brunei-Muara district. 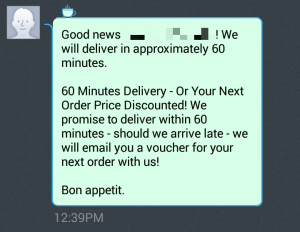 I was informed beforehand that delivery time is generally an hour for all restaurants. I used the foodpanda app on iPad, hence SMS notifications and calls from foodpanda arrived separately on my Android phone. So there’s a mishmash of screenshots below. 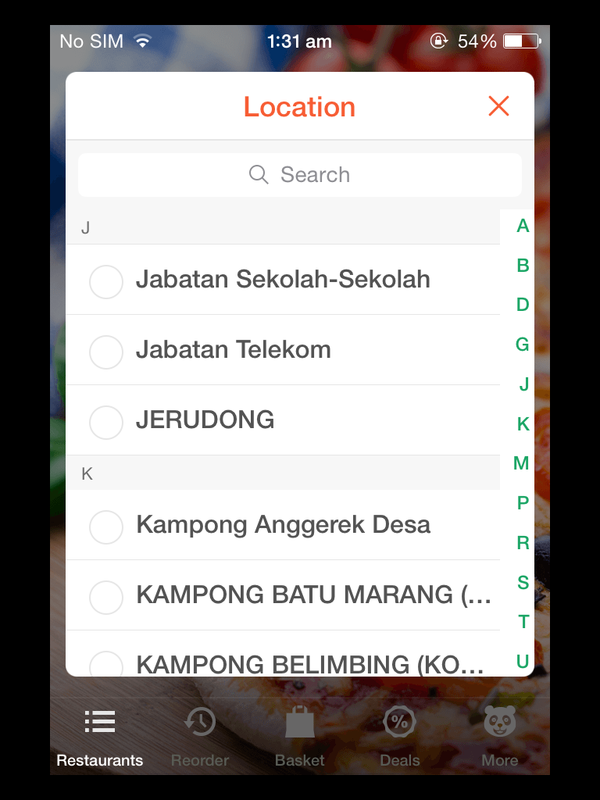 The first thing to do is to pick a location. The eligible locations for delivery was limited. This can be mildly confusing if you’re not sure which area you’re in. For my first try, I used the BANDAR CITY area; the second time, I used SERUSOP. Geographically, my location was close to those areas though not exactly in the area. There didn’t seem to be an issue with this. The process of ordering is pretty straightforward, actually. If you’ve used any online shopping websites, it’s a similar process of adding items to your basket. I place the order, and am told it has gone through! Yay. Almost immediately, I get an SMS – from a UK number. Fair enough, Brunei isn’t doing so well with SMS gateways etc. Hmm, why has it given me foodpanda’s Malaysian website www.foodpanda.my? I check it anyway, but I don’t see where to put in the code. I try the Brunei website instead, www.foodpanda.com.bn. But nothing on the website tells you anything about entering a verification code, whether you’re logged in or not. What’s the difference between the 3 screenshots? Very little! Since the SMS mentioned the mobile app, I go back to the app to check. But I still can’t find any place in which to input this code. At this point, I have no idea what I supposed to do with the verification code. They don’t reply my question about the verification code at all, but about 10 minutes later I get an SMS confirming my order is on the way. 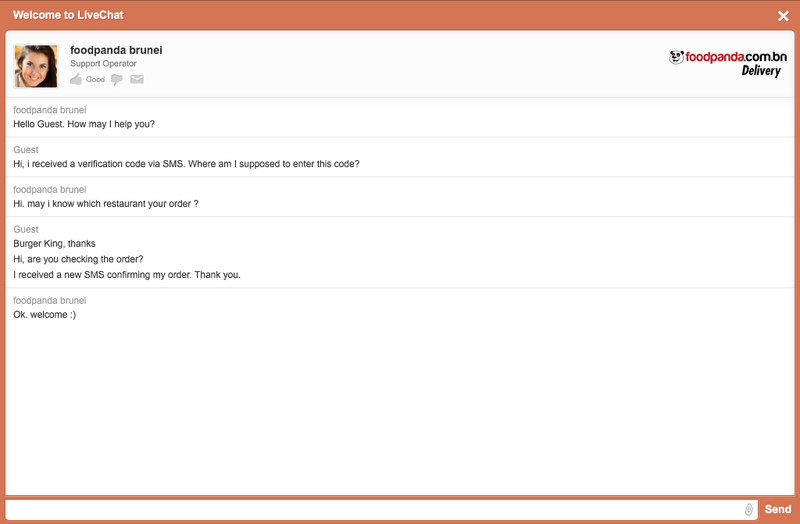 You also get an e-mail about 20-30 minutes after your initial order. The e-mail is actually nicely concise about your order, mentioning the time of order, your address, your order details, and contact number – hmm, I could’ve used that contact number 20 minutes ago, when I was confused about the verification code! Oh and btw? There is a 15% service fee. And now, finally, we wait. Waiting is the least confusing part, probably. My order does indeed arrive within the promised time period. No problems with the cash payment – there is plenty of change. The food also arrives okay, although my minor quibble in both attempts is that some of the food turned out slightly soggy. This may be due to the way the hot food has been packed, but that’s just a guess. The second time I use the service is not too different. I still get that SMS telling me to enter a verification code on www.foodpanda.my. This time, I don’t call or live-chat foodpanda – I just wait to see if I will get the confirmation SMS anyway. 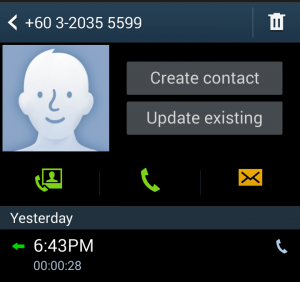 The caller speaks to me in Malaysian Malay. There’s nothing wrong with this, I am just surprised, the same when I got the first SMS from a UK number. 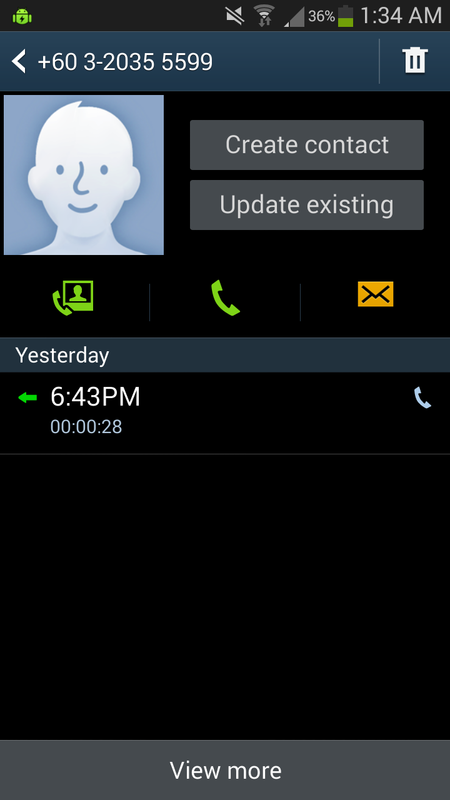 I am told that my order would take 1.5 to 2 hours, in contrast to the 1-hour delivery time stated in the app. I tell her I’m ok with this. Then, the second confirmation SMS arrives. Everything else proceeds similar to my first attempt. The SMS states you have to enter a verification code, but this does not seem to be the case. 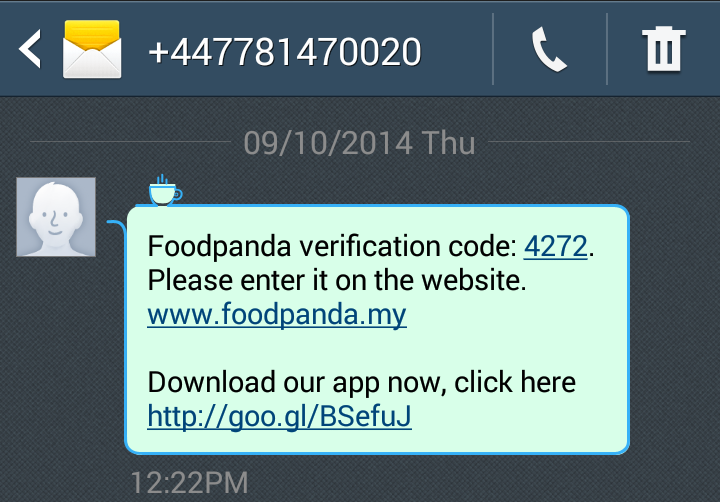 The SMS also gives the URL for the Malaysian foodpanda website rather than Brunei’s. Neither the website or app makes any mention of entering verification codes, even in their FAQs. I’m not advising to not use the service – their addition of more locations, and their responses to customers via their social media, make me think that improvements are ongoing. Other matters such as cost, delivery time, food quality and so on, are up to others to consider.